Each year on November 11, Canadians come together to honour those who fought to protect our peace and freedom. This Remembrance Day, I encourage you to wear a poppy and observe two minutes of silence to reflect on the sacrifices that secured our future. The 100th anniversaries of the battles of Vimy Ridge and Passchendaele remind us that Canadian veterans have contributed to global security throughout our history. In the years following the World Wars, brave individuals have continued to make sacrifices for all of us. Canada’s veterans fought far from home to defend their friends, neighbours and fellow citizens, and helped end international conflicts. They left their own families to protect others, and supported one another through the hardships of war with strength and courage. Their efforts ensured our country remained diverse, just and free for generations to come. On behalf of Regional Council, I would like to thank everyone who has served Canada during times of war—in any capacity— for their contributions to our region, our country and our global community. Together, we built the strong, inclusive, peaceful society Canadian veterans believed in, and we will never forget the price they paid for it. We will continue to honour their sacrifices by expressing our gratitude for everything they achieved and living the values they fought to protect. Every year on the eleventh hour of the eleventh day, of the eleventh month, people across Canada come together in churches, gymnasiums, public squares and meeting halls to observe a moment of silence to mark the sacrifice our Veterans made and honour the courage of those who continue to serve our country today. For many of us, enjoying a life of peace where our freedom is never threatened is all we know. However, if it wasn’t for our Veterans’ hope for a bright future and the courage to ensure it happened, we would not be presented with as many opportunities as we are today. November 11 is an important occasion as it provides us with the chance to set aside time to reflect on the efforts of our Veterans and show our gratitude towards them. Keeping the history of our Veterans alive is important and through education, awareness campaigns and most importantly celebrating Remembrance Day, we are able to define their heroic efforts and preserve their memory for future generations. I would like to express my appreciation and gratitude to all Veterans for their service and dedication to our country. The rights and freedoms that our Veterans championed make both Canada and Halton Region a great place to live, work, raise a family and retire. Today (November 11) is Remembrance Day and I would like to encourage everyone to join me and pause for a moment of reflection and remembrance. Most of us are unable to fully comprehend the sacrifice made by more than 1.5 million Canadians who fought to protect the land, the rights and the freedoms each one of us now enjoys. Our Veterans displayed bravery and courage when they left their homes and boarded ships and aircraft to defend a future they believed in. It is through the sacrifice of our Veterans that we are able to enjoy the many privileges and freedoms we have today in Canada and in our local communities. We are fortunate that we have the freedom to participate in cultural events; that we can speak openly, and without fear, about politics and world issues; and that we can vote and choose our leaders. 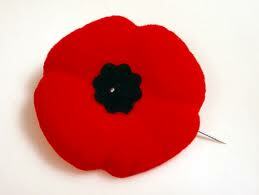 It is important that we never take these things for granted and that is why we celebrate Remembrance Day each year. This is a day to recognize, to honour and to praise those involved in the First and Second World Wars, and the Korean War. It is also an opportunity to recognize our current soldiers as they carry on a tradition of bravery and honour that has characterized the Canadian Armed Forces for over a century. Please join me in two minutes of silence and reflection today in honour of the brave men and women who have served, and continue to serve, our great country. This Friday, November 11, is Remembrance Day and I would like to encourage everyone to join me and pause for a moment of reflection and remembrance. Most of us are unable to fully comprehend the sacrifice made by more than 1.5 million Canadians who fought to protect the land, the rights and the freedoms each one of us now enjoys. We are unable to fully understand the bravery, the courage and the honour our Veterans showed to the world, to their families and to themselves when they left their homes and boarded ships and aircraft to defend a future they believed in. It is through the sacrifice of our Veterans that we are able to enjoy the many privileges and freedoms we have today in Canada and in our local communities. We are fortunate that we have the freedom to participate in cultural events; that we can speak openly, and without fear, about politics and world issues; and that we can vote and choose our leaders. Yet many of these things, we take for granted. For the honour of those who fought and those who have laid down their lives, we should not take these freedoms for granted; and that is why we celebrate Remembrance Day each year. This is a day to recognize, to honour and to praise those involved in the First and Second World Wars, and the Korean War. It is also an opportunity to recognize our current soldiers as they carry on a tradition of bravery and honour that has characterized the Canadian Armed Forces for a century. Today, our brave soldiers continue to make us proud with their contributions around the world. They continue to fight for Canada and for the right of others to be free from fear and oppression. For all this, they continue to make the ultimate sacrifice. Even though some of us will never fully comprehend the hardships our soldiers face, we can, on Remembrance Day, observe a moment of silent and sombre remembrance. On November 1, I was privileged to attend the 9th Annual Veterans Appreciation Luncheon in Oakville . Many gathered to recognize our veterans who fought for Canada and to remember those soldiers who made the ultimate sacrifice. It was a reminder of how fortunate we are to have the freedom to participate in cultural events, to speak openly about politics and world issues, and to vote and choose our leaders. It is to our veterans , and to the men and women who continue to fight overseas, that we owe our thanks for these freedoms we enjoy. Although we will never fully comprehend the hardships our soldiers faced, we must continue to honour their courage by observing Remembrance Day with solemn respect. We must also make the effort to learn from the experiences of our veterans beyond the official day of remembrance. As events and memories dim with the passage of time, it becomes ever more important to learn from the past. I encourage everyone in Halton Region to keep alive the achievements made by those who served Canada in times of war and peace. Engage your community in remembrance of these outstanding individuals and promote an understanding of their significance in history and in Canadian life as we know it today.